Early winter, our ski resorts spend millions of dollars manufacturing snow, and when it has finally accumulated in large quantities, they stop operations when they could have stayed open another couple of weeks. If you’re not a skier, you can’t wait until the all snow melts. If you’re passionate about skiing, it’s a totally different story. 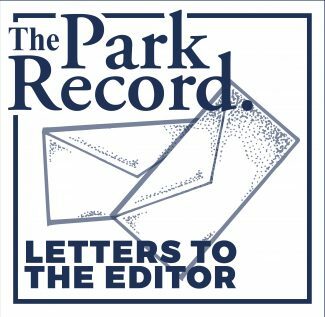 Personally, I would have loved to see both ski areas extend their operations until May, but I also realize that it would only benefit ski aficionados like me that have long paid for their season pass, so it would mean an extra cash outlay to our lift operators without much income in return. Further, the two resorts have no obligation to stay open past their stated closing dates. This said, both Todd Shallan and Bill Rock should have better measured the place their respective resorts occupy within the Park City community, by keeping some of their lifts running a little longer. In doing so, they would have added to their “goodwill bank” for future needs and thanked the locals for putting up with gridlocked streets and crowded slopes from those extra Epic and Ikon visitors. At a time when we get bombarded daily by emails and postcards asking us to renew our passes for 2019-2020, this would even have been a smart marketing move. Of course, I’m not suggesting keeping the entire mountain open, but just extending lift service by at least one week or one weekend and maintaining just a token number of chairlifts open. Good leadership often means listening attentively and taking the customer’s side. In this case, both general managers should have been the local skiers’ advocates to Alterra and Vail Resorts by asking the two corporate heavyweights to return a tiny bit to the community. By apparently doing nothing or not convincingly forcing the issue, they’ve missed an opportunity to say “thanks” to all of us and, by the same token, added some appeal to the passes they’re already selling us for next winter. This letter is in response to Mike Trout’s $430 million contract with the Los Angeles Angels. One of the most disturbing facts about our capitalist nation is the misappropriation of funds directed to the salaries of entertainers. Everyone should agree that the value an athlete, movie star, talk-show host, team-owner, etcetera brings to the average citizen is very small. Granted, they do offer a minuscule diversion from our daily trials and tribulations as did the jesters in the king’s court during the middle ages. But to allow these entertainers to horde such great amounts of wealth at the expense of more benevolent societal programs is unacceptable. They do not provide a product or a service so why are they rewarded as such? Our society is also subjected to the “profound wisdom” of these people because it equates wealth with influence. Perhaps a solution to this problem and a alternative to defeated school levies, crumbling infrastructures, as well as all the programs established to help feed, clothe and shelter those who cannot help themselves would be to tax this undeserved wealth. Entertainers could keep 1 percent of the gross earnings reaped from their endeavor and 99 percent could be deposited into the public coffers. The old ideas of the redistribution of wealth have failed, and it is time to adapt to modern-day preferences. People put their money into entertainment above everything else; isn’t it time to tap that wealth? Does anyone think this will reduce the quality of entertainment? It seems to me that when entertainers received less income, the quality was much higher. The IKON Pass has destroyed the quality of Deer Valley. I have skied Utah for 50 years, including Deer Valley for over 30 years. I now ski 80 days a season. This year the “Jerk Factor” has exploded at Deer Valley and other resorts that have the IKON. I love Alta but the Jerk Factor has exploded there too. The Jerk Factor is stupid, dangerous, selfish skiing (or boarding). Passing within arm’s length, cutting off, collisions and near collisions, high speed skiing through crowded slopes are examples. Jerk skiing has always existed but it exploded this year. In addition the IKON Pass has caused huge increases in crowds. It feels like rush hour driving when I am skiing. I am always having to watch my six. Not fun. Why pay a fortune to have the same experience as driving in rush hour traffic. Deer Valley has always had a special feeling. And the Jerk Factor was very low. This year the only difference has been the introduction of the IKON Pass. Jerk skiing has exploded at Deer Valley. Basically the management policies and practices at Deer Valley have seriously damaged the brand carefully nurtured for 40 years. I am not alone in this perception. I have heard hundreds of negative comments about the deteriorating ski experience at Deer Valley this year. 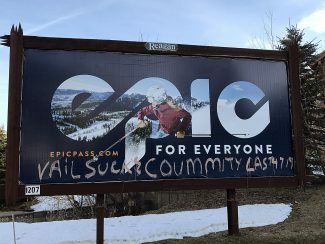 If management does not get a handle on this problem they will see Deer Valley become known as just another average but high priced western ski resort. Park City must experience a reduced carbon footprint due to the “early” closures. Less power plant emissions, less car exhaust, less dining waste. Perhaps Park City should require resorts to open later and close even earlier. As a 30-plus year local, I take great pride living in a community with two of the world’s greatest ski areas. Thanks to Park City Mountain and Deer Valley Resort for a wonderful season. I enjoyed many chair lift rides with happy visitors from all over the world. And I was proud to tell them I called Park City home. As a local, I appreciate all our resorts do investing in both a quality product on snow as well as investment into the welfare of our community.